Can you say no? 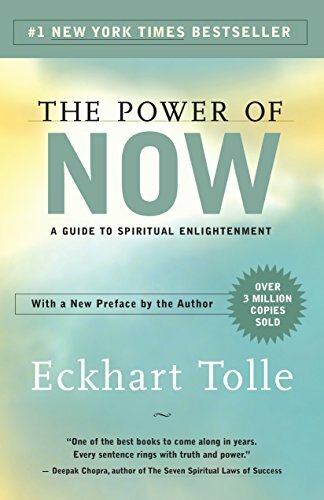 Eckhart Tolle is one of my favorite authors. In The Power of NOW. Tolle writes that there is only ever Now. The past only happened in the Now, and the future–which hasn’t happened yet–will only happen in the Now of the present moment. There is only, ever, NOW, this present moment. Every day we are faced with multiple opportunities to choose. Each of us has twenty-four hours in the Now of each day. How will we spend that time? His questions always struck me, and they still resonate with me when I enter someone’s office or walk into a meeting. On what do we choose to spend our time? [Time] is clearly one of our most precious and critical assets. The present moment and the issue of balance belong together. It’s not realistic to suggest that we can always achieve balance, yet many women I’ve interviewed hold it up as a goal they long to accomplish. Some of us may be on an everlasting search to find it. One way to help us stay balanced is to treat the present moment as our biggest asset. Determine how you will spend the present moment and with whom. Give yourself permission to say “no” when others request your time, especially if you realize it is not an effective and energizing use of your time. Women are notorious for saying yes quickly, easily, and often from the heart. Saying no even to good causes and initiatives feels selfish, but it isn’t. No is an important word to have ready. I have met many wonderful women who gave of themselves to others in more ways than they had time to give. These additional demands, although noble, depleted their energy, compromised their best and most genuine self, affected their work and family life, and threw their lives out of balance. If you are regularly asked to devote your time and energy toward a worthy project or initiative, those requests are not coincidental. We’re asked because people know we can get things done. It’s an honor to be asked, but we cannot let that ego thrill prevent us from pausing and asking ourselves these kinds of questions: Is this the right thing at the right time for me? If I accept, will I be doing it for the right reasons? Stay present to the now, ask yourself relevant questions before you say yes to something that might throw you off balance. As we learn to better discern what is ours to do, and what is not ours to do, we will better discern our destination. If you can’t say no or find a way to decline a request, you will continue to over-commit, thus draining your energy. There are so many good projects and so much that needs to be done; yet helping every cause that needs our help and every person who asks are not necessarily part of our life script. Such decisions require periods of silence and reflection. Otherwise, we do the same-old-same-old: “Sure!”, we say. Then we feel depleted. Thus do you—do we all—prevent time from being wisely aligned with our assets. Not very well, most of us will admit. I’ve found that I am more successful if I concentrate on a few (usually no more than three) projects at a time. These projects can be a mix of professional, personal, and community initiatives that include my children or family, local and global initiatives around women, and emerging technologies. I’m learning to use my time wisely and to choose projects carefully. One of my overall goals is to motivate and elevate women, so I say yes to these kinds of projects—the ones that are aligned with my assets. If I were less selective, less able to say no, if I took on other initiatives, I would deprive myself of the time to do well the projects that most fulfill me. As Stephen Covey puts it, “The main thing is to keep the main thing the main thing.” I actively work to follow that advice. Decide what your “main thing” is, and stick to it. Do I understand how much work is ahead of me and clearly understand what is expected of me? Can I list the expectations? What other commitments could interfere? Is this project in line with my bold goals? If I took it on, would it be for the right reasons? Would the timing be right? What does taking on this project mean to my everyday life? How will it impact my other responsibilities and commitments? What will suffer if I accept this task? Am I the best person for this task? Do I need more information before I start? 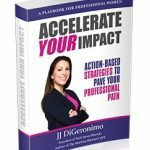 At first I found it difficult to say no, but when I started assessing each task against the questions above, I found a sense of personal reward and satisfaction for taking on only those tasks that were in line with my overall goals. And that was essential to my overall happiness and success.